Professor Susan Collins gave a UCL Lunch Hour Lecture about SCEMFA and featured several works by Martin. How are artists translating or materialising digital works for gallery and physical situations? Professor Collins shows a snapshot of works coming out of the Slade and the Slade Centre for Electronic Media in Fine Art (SCEMFA) over the past decade that explore the material of the digital. This lecture explores a range of groundbreaking perspectives and manifestations. Sound waves broadcast in space and captured by powerful antennas. A steamy repetition creating an environment open to different contributions, pervaded by the energies of the artists themselves, who were invited to focus their attention on those deceitful mechanisms that are always in play at the interchange between infosphere and psychosphere. Different types of data, sounds and magnetism: all these elements poetically meet in multimedia, which is here the synesthetic melting pot of experimental sound compositions. This collective, which promotes the Radio Tower Xchange project, by connecting online performances and audio art events, wants to pay homage and at the same time criticize the “broadcasting philosophies”, embodied in the “symbolism” of radio towers themselves. Technologies for sharing that are evolving towards direct transmission, not “for the audience” but “from the audience” which, thanks to WiFi networks and the multiplication of “emission points” and the simultaneous demand for those inputs, pave the way to the emergence of new systemic chains. Neural Review. Netaudio’08 took place from 22nd to 25th October 2008 at Shunt Lounge, London SE1. It celebrated the creative output of networked musicians and online communities with installations, workshops, showcases and performances. Netaudio’08 plaid host to a broad range of live musical acts from the IDM of Lackluster and the digital dub of Disrupt to the raucous sounds of emerging talent A.R.E. Weapons. There was live techno and house from Berlin and djs from across Europe and the UK playing everything from esoteric ambience to minimal techno and back via a headlining set from man of the moment: Appleblim. The only criteria here is that they sound good and that they engage via the medium of the Internet. Within the market side of the festival you could lay your hands on the latest gadgets, kit and software with everything from digital DJ tools to fully fledged audio production software. As a modern day equivalent of a fun fair, the Netaudio Market also featured a number of interactive installations and stalls allowing you to have a taste of what’s on offer by experimenting with numerous sound and internet tools as well as simply enjoying one of the professionals demonstrations. Full listings and special events are still live. Keep yourself in the loop about future activities by subscribing to our blog-feed or newsletter and join us on one of the featured social websites. 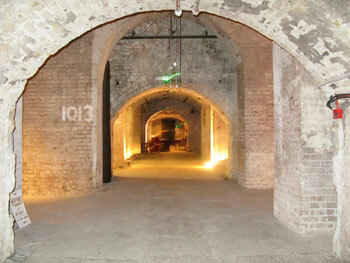 Netaudio’08 is funded by the Arts Council England through Grants for the Arts and by Shunt. Cenatus Music Projects gratefully acknowledges financial support from the PRS Foundation. 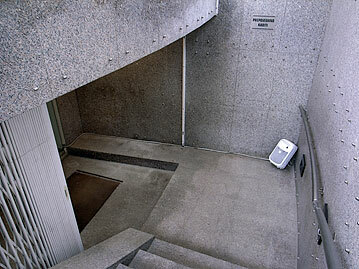 The Netaudio Festival is based on a Swiss concept, first showcased in 2005 in Berne. 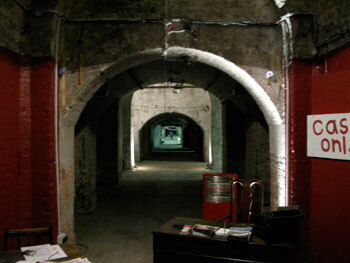 Netaudio’08 is supported by the Swiss Cultural Fund in Britain. 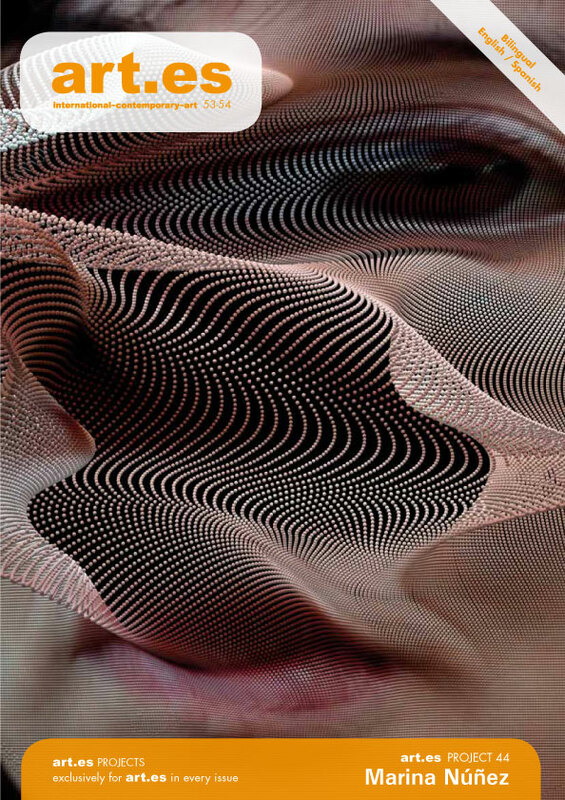 Sonification of You will be installed at Netaudio London 2008. Netaudio’08 will take place from 22nd to 25th October 2008 at Shunt Lounge, London SE1. It will celebrate the creative output of networked musicians and online communities with talks, workshops, showcases and performances. Netaudio’08 will play host to a broad range of live musical acts all the way from well established musicians through to undiscovered new talent – the only criteria is that they sound good and that they engage via the medium of the Internet. Musically Netaudio’08 will provide a programme spanning genres and cultural boundaries and embracing the widest possible selection of sounds humming through the Internet. Within the conference side of the festival, Netaudio’08 will explore the creative practice and merit of digital networking tools. Workshops will share knowledge about music production and digital distribution whilst presentations will take a lead in the discussion of altered user behavior in the networked society – both aiming to engage the thought provoking process of music production, distribution and consumption in an age of networked communication. Sonification of You was part of 8th Pixxelpoint Festival (Green Desert), Nova Gorcia, Slovenia, December 2007. Curated by Narvika Bovcon and Aleš Vaupotič, organized by the city of Nova Gorica. Interaktivnost je postala ambient. Zaradi povečevanja omrežij in zmanjševanja naprav za sprejemanje in oddajanje posamezniki niso več izolirani. Različne naprave za komuniciranje, ki jih vedno nosimo s seboj, neprestano sprejemajo in oddajajo informacije. 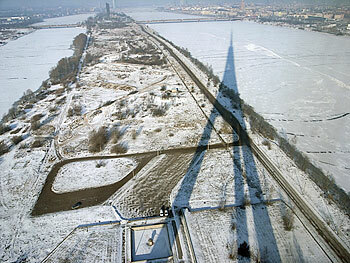 Neprestani tok podatkov je neviden in večini ljudem nepoznan. Današnje prenosne naprave lahko vidimo kot podaljške človeškega telesa, ki ustvarjajo vseprisotno medsebojno povezanost omrežij, ki ji ni mogoče ubežati. Delo »Sonifikacija tebe« poskuša ta tok podatkov »prikazati« uporabnikom aktivnih napravic. Naša oprema na določenem območju pasivno spremlja različne frekvence radijskega spektra, ki jih uporabljajo mobilni telefoni, omrežja Bluetooth in WiFi, ter druge mobilne naprave. Podatkom so bili dodeljeni zvoki, ki predstavljajo aktivnost, oddaljenost in moč signalov. Delo temelji na tehnologiji za kontrolno spremljanje velikih računalniških omrežij, rezultat pa je »zvočna podlaga« v sobi, ki jo ustvarjajo prisotni in njihove naprave. Nevidno tako postane slišno in s tem tudi vidno. Tako se posamezniki začno zavedati nenehne omrežne povezljivosti, ki jih spremlja. L’interattività è diventata ambiente. Le persone fisiche non sono più isolate, dato il graduale aumento della presenza del network e la graduale riduzione degli impianti per la trasmissione e la ricezione. I vari dispositivi di comunicazione mobile emettono e ricevono continuamente informazioni. Questo continuo flusso di dati è invisibile e spesso anche sconosciuto dalla maggior parte delle persone. I dispositivi portatili odierni possono essere visti come prolungamenti del corpo umano che permettono un’onnipresente e inevitabile interconnetività di network. L’obiettivo di ‘Sonification of You’ è quello di rendere questo flusso di dati ‘visibile’ a coloro che possiedono dei dispositivi attivi. Questo apparecchio visualizzerà passivamente le varie frequenze dello spettro radio impiegate dai dispositivi di telefoni cellulari, Bluetooth, WiFi network, e da altri dispositivi mobili impiegati all’interno di uno spazio delimitato. I dati saranno rappresentati da suoni che indicheranno l’attività, la distanza e la potenza dei segnali. Ricorrendo ai metodi per il monitoraggio di ampi network di computer, il risultato è quello di creare un ‘suono’ di sottofondo per uno spazio figurativo di persone, e dei loro dispositivi, il presente. L’invisibile diventa intelligibile e perciò visibile, permettendocosì all’individuo di essere consapevole della propria costante connettività. Andrei Tarkovsky’s film Nostalgia (1983) closes with a renowned travelling camera shot that gradually traverses the film space, tracking from images of Russian landscape in which the protagonist is framed to a final image of the interior of a Tuscan church. In the third phase of this uninterrupted shot, it can be seen that the church has no roof and is exposed to the influences of weather. The shot concludes with snow falling in a hybrid of interior and exterior. Another example of such hybrid style can be found in the Diesel Company’s advertising campaign Global Warming Ready (2006) which features images of spatial collage: for example, Mount Rushmore as a coastal cliff, and a Venetian scene in which colourful tropical parrots replace the ubiquitous pigeons. These very different visual effects combine a common theme: the association of two seemingly disassociated spaces in one place. The consequence of this type of catachresis is the revelation of specific socio-political problems that can be either complex, as in the example of the differing states of Russian and Western understanding of life found in Tarkovsky’s Tuscany, or half-serious, as in the example of the advertising campaign that wants to increase the global public awareness of environmental protection issues using shocking and attractive images of various ecosystems that have fallen out of balance. The theme of Pixxelpoint’s Green Desert refers to the controversial linkage of something beautiful and dead at the same time, the positive connotations of greenness combined with its absence in the desert. There is of course a way out of this quandary, though one solution remains limited to virtual technically-simulated reality. The second solution lies with the change of humanity and efforts to sharpen its sensitivity to the delicate balance of the environment that is not an object to be exploited but a complex and layered entity encompassing different worlds in the same geographic location, worlds that appear different to different eyes. Film Nostalghia (1983) Andreja Tarkovskega se zaključi s slavnim travalingom kamere, ki razkrije postopno prehajanje filmskega prostora iz podobe ruske pokrajine z glavnim junakom v okvirjajočo se podobo notranjosti toskanske cerkve. Zanjo se v tretji fazi nepretrganega posnetka izkaže, da je brez strehe in odprta za vremenske vplive, saj se prizor sklene s sneženjem v tem hibridnem interjerju-eksterjerju. Drugi primer je reklamna kampanja podjetja Diesel Global Warming Ready (2006) s podobami prostorskih kolažev, npr. Gore Rushmore kot obmorske pečine ali pa prizora barvitih tropskih papig v Benetkah namesto letečih podgan. Sicer zelo različni konkretizaciji združuje skupna tema, povezava dveh, na prvi pogled nezdružljivih prostorov na enem mestu. Posledica tovrstne prostorske katahreze pa je praviloma razkritje specifične družbenopolitične problematike, ki je lahko kompleksnejša, kot v primeru raziskave razmerja med ruskim razumevanjem življenjskega sveta in zahodnjaškim, ki ga predstavlja Toskana pri Tarkovskem, ali pa le na pol resna, kot v reklamni kampanji, ki želi ozaveščati globalne javnosti o problematiki varstva okolja s podobami šokantnih in obenem privlačnih ekosistemov, ki so že zdavnaj padli iz ravnovesja. Tema Pixxelpointa “zelena puščava” se nanaša torej na kontroverzno povezavo nečesa sicer lepega vendar obenem mrtvega, s pozitivnimi pomeni zelenine, ki je v puščavi seveda ni. Ostaja pa seveda pot iz te zagate, vendar pa je predlagana možnost omejena na virtualnost tehnosimulirane realnosti. Drugi izhod pa je sprememba v človeku, ki si s prizadevnostjo izostri posluh za krhko ravnovesje v svoji okolici, ki ni zgolj predmet za izkoriščanje, ampak preplet plasti različnih svetov na isti geografski lokaciji, ti pa se kažejo različno različnim očem. Did a couple of interviews for Slovenian TV etc, not yet seen any of the tapes; hope my Slovenian was up to scratch. Sonification of You (Sonifikacija tebe / Sonificazione di te) will be at 8th Pixxelpoint Festival, Nova Gorica , Slovenia, in December 2007. I shall also be giving an artist’s talk. [PDF: Festival Program< , includes translation of Sonification of You into both Slovenian and Italian] I’ve been invited to stay in Slovenia 5-15 December 2007. 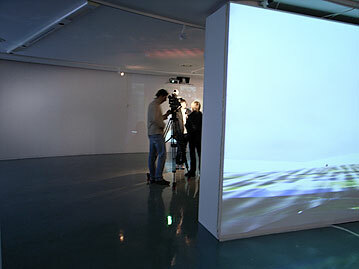 Pixxelpoint is one of the most successful and renowned festivals of new media art in Slovenia and also abroad. Its purpose is firstly, to bring the information technology and new media art closer to the general public, and secondly, to raise awareness about a different potential to use computer among the young. In previous editions the festival had a big media response and over 3000 visitors visited it every year, so this is a challenge for the organizers to further expand it and trespass the boundaries of the gallery space which has become too small for all the projects which are to be carried out. 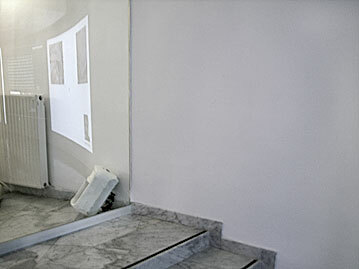 The exhibition of new media art projects, as the central event of the festival will be mounted at City Gallery Nova Gorica but will include also other locations (Mostovna, Kulturni dom Gorica (Italy) and DAMS (Italy)), besides we will also include a symposium on the given topic, as well as workshops run by guest-lecturers. Accompanying activities will include numerous concerts by well-known music performers. Curated by Narvika Bovcon and Aleš Vaupotič, organized by the city of Nova Gorica. Today I shall be speaking on noise in relation to my research, as a guest lecturer at University College for the Creative Arts at Maidstone to Experimental Artists Film Video and Photography research group. 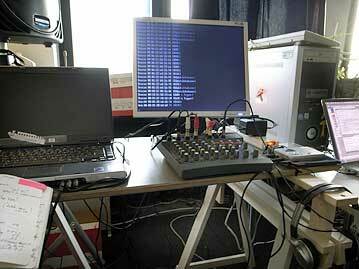 Adam Hyde writes: Radio Tower Xchange (RTX) is a networked performance event, a DVD, and collaborative installation. At the same time, the RTX is also a closing activity of the “WAVES“ project, and it will be coordinated by the RIXC and co-organisers, and sound artists from all over the Europe and the globe. Sonification of You live at TakeAway Festival 2007, at London’s Science Museum. 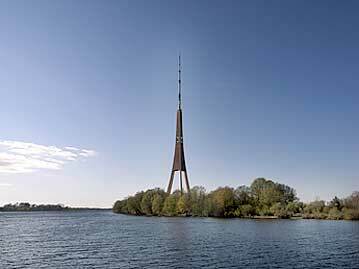 Today, my work Sonification of You was active and broadcasting live from Europe’s second tallest man-made structure – The Riga TV and Radio Tower – as part of the Radio Tower Xchange, a live event from some of Europe’s radio towers. mobilo sakaru frekvenču sonificēšana Rīgas TV tornī…Mūsu tehniskās ierīces pasīvi skenē dažādas radio spektra frekvences, kuras izmanto mobilie telefoni, WIFI bezvadu tīkli un citas mobilās ierīces, kuras tiek pielietotas kādā noteiktā telpā. “Sonification of You” mērķis ir padarīt šos datus redzamus cilvēkiem, kuri šīs ierīces aktīvi pielieto. Lai sonificētu Rīgas mobilo radiofrekvenču sakarus, mākslinieks (kas ir RIXC laboratorijas rezidents februāris-aprīlis 2007) veiks mobilo komunikāciju frekvenču skenēšanu no Rīgas TV torņa. Sonification of You, de Martin John Callanan (UK) a pour objectif lui de “rendre visible et audible les flots continus de données transmises par les objets communicants” : téléphone mobile, bluetooth, wifi… Des flux “à la fois invisible et souvent inconnus pour la plupart des gens”. Sound:Space – A day of artist talks, demonstrations and performances exploring contemporary artistic use of sound and environment. This event provides an opportunity to absorb a wealth of the latest developments in audio research and the field of Sound Art and experience a series of fascinating sonic exhibitions.